Cocaine has long been a drug associated with swanky clubs, models, CEO’s and other high-flyers. However, in recent years it has become apparent that more and more ‘normal’ people are making cocaine their drug of choice. Cocaine use, and thus cocaine addiction in Sydney has risen significantly, particularly in New South Wales (NSW). The Sydney Morning Herald recently released a report revealing that cocaine usage in NSW increased by 55% from 2008 to 2010. The drug is no longer just the party powder of the rich and powerful, as a significant amount of cocaine users range from students, to accountants and beyond. There is evidence to suggest that Sydney is the cocaine capital of Australia, as cocaine use there has been recorded as four times higher than cocaine use in Melbourne. It is now being used more frequently and at higher doses than previously, and it has attained a more socially acceptable place than it had before. But despite social acceptance, cocaine is still a highly addictive and dangerous drug. If you are worried that someone you love, or you yourself have developed a cocaine addiction, it is important to reach out for professional help. Here at The Cabin Sydney, we offer an initial assessment service for all. Located in the centre of the city, The Cabin Sydney offers a comprehensive and effective cocaine addiction treatment programme for addicts of all kinds. 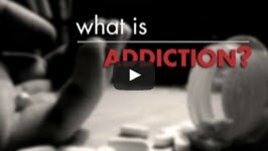 The Cabin understands that cocaine addiction is not something that our clients want to publicize and we therefore take the utmost care in keeping our client’s addiction treatment confidential. Our outpatient facility offers after-work programmes so that addicts can maintain their personal and professional work obligations while receiving world-class, effective addiction treatment. At The Cabin Sydney we work with a unique method known as Recovery Zones. We combine this highly effective method with an updated version of the 12 Steps for a highly effective programme. Our treatment can revolve around your work and social life, and hours are flexible and moulded to suit your timing and ability to attend. Treatment includes face-to-face counselling, necessary medication, and group therapy sessions. For clients whose families have been affected by their addiction, we also offer family counselling. The Cabin Sydney is a world-class outpatient rehab facility, but some clients may wish for a higher level of care or may require inpatient treatment. In these cases, we will transfer clients to our residential rehab in the mountains of Northern Thailand at The Cabin Chiang Mai. The Cabin Chiang Mai is an internationally recognized rehabilitation centre located just outside of the laid-back city of Chiang Mai, in Northern Thailand. Our residential centre is set in lush forested foothills and offers a quiet and serene setting for you to begin your road to recovery. At The Cabin Chiang Mai our professional and Western-trained staff will design a tailored cocaine addiction treatment programme for each individual. We do not only focus on the physical well-being of our clients, but also engage them in mindful healing practices, making The Cabin Chiang Mai an ideal place for any Australian to start addiction recovery. Contact us today about cocaine addiction treatment to have a no obligation assessment and see how we can help you. Fill out the short form on the top right of this page, or call us directly on +61 2 9326 2867, to start your journey to recovery now.